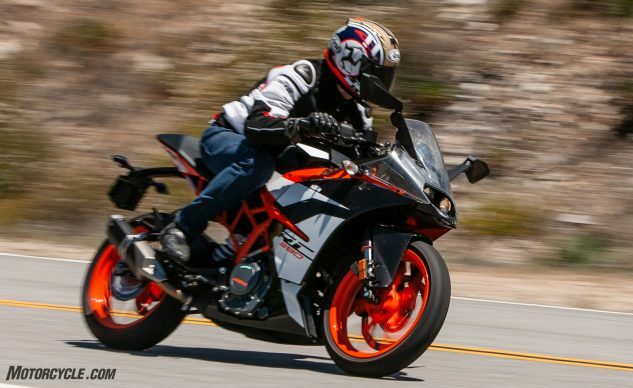 Whether on track or on the street, the KTM is all business. Its hard seat is fine on track, but not so great on the freeway. Same, too, for its small fuel tank. A tourer the RC390 most definitely isn’t. But if you play in the hills, the KTM will make you feel alive.